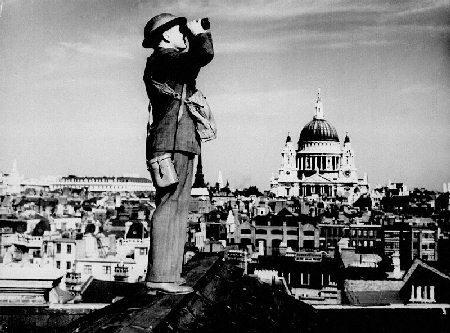 Only a few survive who remember the threat under which the people of the United Kingdom lived during the years of 1940 and 1941.
and the Ministry of Home Security. 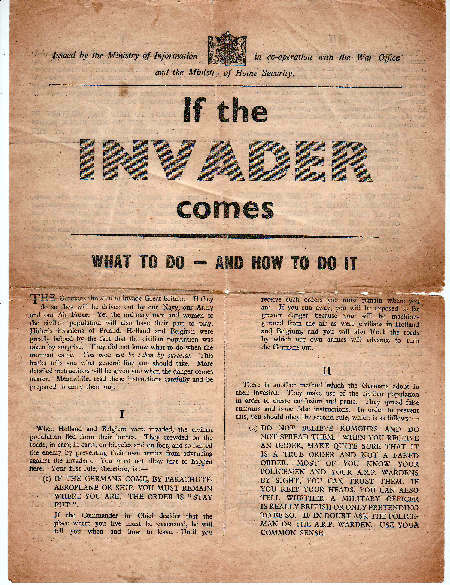 They reveal the immediacy and seriousness of the threat, with realistic advice in the event of the invasion. Central to all this is the idea of'duty and 'standing firm'. Having lived through all this as a youngster I can vouch for the fact that loosing the war was not an option that anyone even considered. 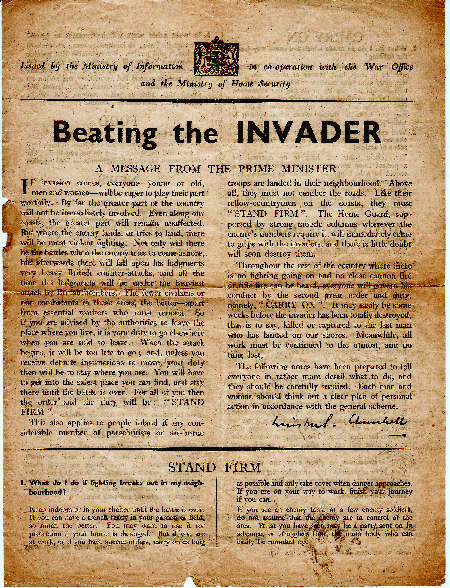 Seventy years later it is sad to reflect that many hundreds of thousand still live in fear of events similar to that endured by the British during the early 1940s.